Please note that if you are submitting your cancellation less than 48 hours before your next billing date, we will try our best to accommodate you, but normally require at least 48 hours notice to successfully process the cancellation. I understand that if I am cancelling less than 48 hours before my next billing date that I may still be charged for the following month before the cancellation takes effect. I have also entered ALL sticker numbers for each vehicle that is to be cancelled. Please resend the cancellation form if you do not receive an emailed copy of it. Also be sure to double check spam folders to see if the email copy has been sent there. Q. What is an unlimited wash pass. A. 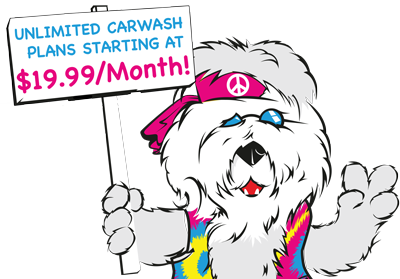 A membership that allows you to wash your vehicle an unlimited amount of times for ONE LOW MONTHLY PRICE. A. Anywhere from as low as $19.99 a month to $34.99 a month. Click HERE for more pricing information. Q. Is the unlimited pass month to month only? A. Yes, absolutely no contracts, you may cancel whenever you want. Q. Do I get a monthly charge on my credit card for the unlimited pass? A. Yes, the pass is automatically renewed on a month to month basis and the price charged to your credit/debit card on the same date of each month. Q. With so much credit card theft, is the automatic renewal option safe? A. Yes. We take credit card data security very seriously. Not only has all of our equipment been inspected and certified to be PCI compliant, but we also have monthly, quarterly, and yearly inspections done on not only our equipment, but also the unlimited wash process itself to ensure that we meet and exceed all PCI credit card security regulations. These inspections and fees are not free, however we choose to do them to make sure that our customers can feel 100% confident in what we are doing, and the program we are providing to the community. A. We try to make it as easy and painless to cancel as possible and offer multiple ways to do so. You can either stop by our 950 Marshall St location, fill out the form on our website, or send us an email to Support@acleancar.com. Q. Do I have to use a credit card and have it automatically renew? A. No, you can also pre pay for 1,3,6, or 12 months with cash or card. Please find the pre paid pricing on our website HERE. Please keep in mind that 80 to 85% of our customers use the automatic renewal credit card option, and that due to the ease of it, a price incentive is given for this option. The pre paid pricing reflects our normal pricing without the discount given. Q. Is the unlimited wash pass good at any Ric & Stan’s location? A. At this time, the unlimited wash pass is only for our express exterior locations at 950 Marshall St. location in Allegan, & Our 6775 West Main Location in Kalamazoo. Q. Does each vehicle need its own membership? A. Yes, just as each person would require their own membership at a gym, each vehicle needs its own membership at our carwash. Q. Do I have to use the same credit card to receive the family plan discount? A. Yes, all vehicles must be on the same price plan, and share the same credit card, and same billing date. Q. How many times may I wash in a month? A. 3 times, or 30 times. It’s completely up to you. Q. How do I get more info? A. Stop by our Marshall Street location in Allegan or our Kalamazoo location and talk to one of the attendants for more information. You can also visit the “unlimited wash” section of our website for more info as well. A. It only takes a few minutes, it’s very painless, our employees will handle everything for you and have you in and out in no time!